Clenadol X is a true powerhouse fat burner from NTel Pharma that’s packing DMHA AND Ephedra. Awhile back, we covered NTel Pharma and their high energy and focus pre workout AREZ God of the Gym. Based on the feedback we received from that post, we had to do some more digging into NTel and see what else the superhero’s brand had cooking for the masses. 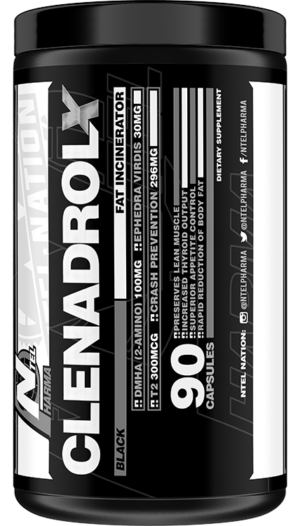 It turns out they’ve been hard at work developing several new products since we discussed AREZ, and today, we’ve got the scoop on their brand new ephedra and DMHA-powered fat burner Clenadrol X. With a name like that, it’s gotta be strong! And indeed it is, with a whole slew of ingredients, starting with 250mg caffeine (in two capsules), DMHA, Ephedra (ephedrine-free of course), thyroid metabolites, and even an anti-crash matrix! 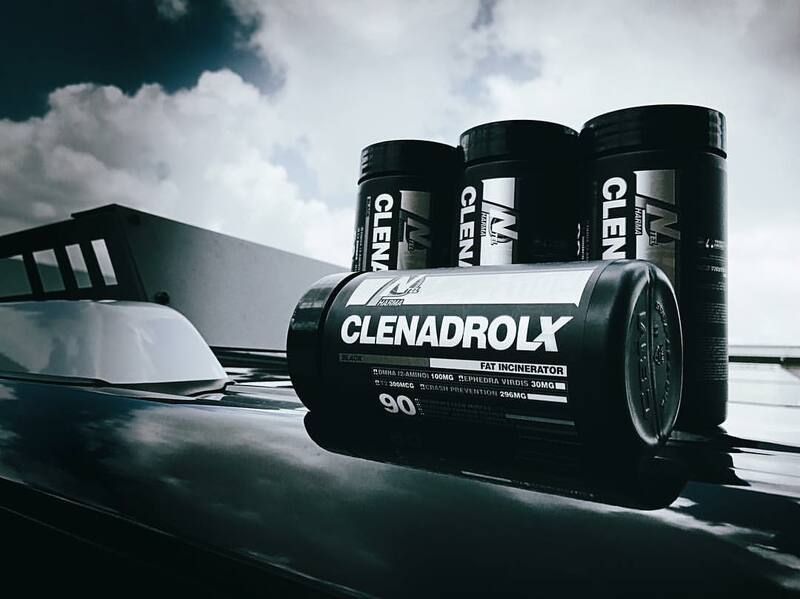 Clenadrol X is a high energy fat burner that’s not for the faint of heart. One serving of Clen X will have you buzzing all day long even on the lowest calorie diet, so it could be best to start on one capsule. Clen X touts an impressive label of energy and metabolism-boosting compounds to shed fat fast. Also found in NTel’s AREZ God of the Gym pre workout, DMHA is one of the most popular “exotic” stims available. It can be found under several other names including 2-amino-6-methylheptane and 2-aminoisoheptane. Similar to DMAA (the KING of these types of stims), DMHA is an aliphatic amine that acts similar in the body to DMAA. The big difference here is the DMHA offers more mood-enhancing benefits while DMAA is known more for its laser-focus effects. Dosage-wise, this is not too aggressive – right at the beginning of where we start to feel it pretty good, if you can handle the rest of what’s in the two capsules. Perfect for a fat burner to get the mood and energy up. Ephedra in a fat burner in 2017?! As we’ve discussed in the past, once you remove the ephedrine alkaloids from ephedra, it becomes more like a strong green tea extract, which is a great thing. Clenadrol X helps drop weight and increase mood with each serving. This is where the dosing starts getting pretty strong. Of the products that contain T2, they often don’t have this much (although they often have more total thyroid metabolites). For whatever reason, we’ve felt strong thermogenesis with these products. It goes without saying that anyone with a thyroid condition (or any medical condition whatsoever) MUST see their doctor before using any new supplement – especially a thyroid metabolite! Caffeine doesn’t really need much of an explanation in supplements these days. You know what is, and how you react to it. It’s great for increasing energy, alertness, and mood, and it even enhances lipolysis. Plus, it serves to enhance the effects of all the other ingredients still to come in Clen X. Our opinion on the dose? 200-250mg caffeine is the perfect sweet spot for a fat burner, and if you’re used to small doses of caffeine, then one capsule could possibly still cut it (although we’ll use two). A new version of AREZ is on the horizon to create the ultimate summer stack with Clen X! Green tea tastes good, and is good for you. The benefits of regularly consuming green tea have been pretty well established, particularly in regards to heart health, but the potent leaves are also good for fat burning. Green tea catechins do all sorts of wonderful tricks in the body, and with respect to weight loss, the catechins have been shown to stimulate lipolysis and block carb digestion[7,8,9], which helps speed fat loss. 50mg isn’t a huge dose, but the ephedra extract helps out in a similar method. 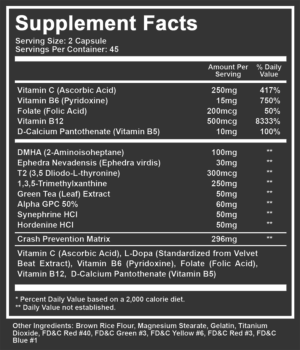 Alpha GPC is a highly bioavailable form of choline, most often encountered in pre workouts and nootropic supplements. But, it turns our choline supplements also offer some fat burning benefits as well. Research has shown that choline can help reduce body mass without sacrificing strength. The dose here might be on the low side to get the fat burning benefits though, since that study had subjects consume a massive 2.1g worth of choline, but not as alpha GPC though. So, the higher bioavailability of Alpha GPC might offer some fat burning and focus boosting benefits, but nothing that’ll get proven in a study (or so we think). Note: The Alpha-GPC here is at 50% ‘strength’ (it’s often bound to silica so that it makes a nice powder). NTel Pharm includes 60mg of 50% Alpha GPC, meaning each serving of Clen X supplies 30mg). This is a “smaller dose” than the Alpha GPC, but in terms of this ingredient, it’s a powerful dose and will definitely bring in some fat burning prowess! Much like Synephrine, Hordenine is another beta-receptor agonist that kickstarts lipolysis in the body. 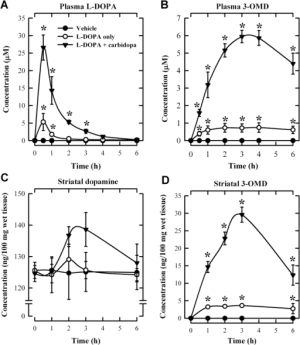 But, it also functions as an MAO inhibitor and noradrenaline (norepinephrine) reuptake inhibitor[14,15], which prevents noradrenaline from being reabsorbed by the body, prolonging its effects (greater focus, alertness, and attention). Now this is an interesting take that we don’t see in fat burners! 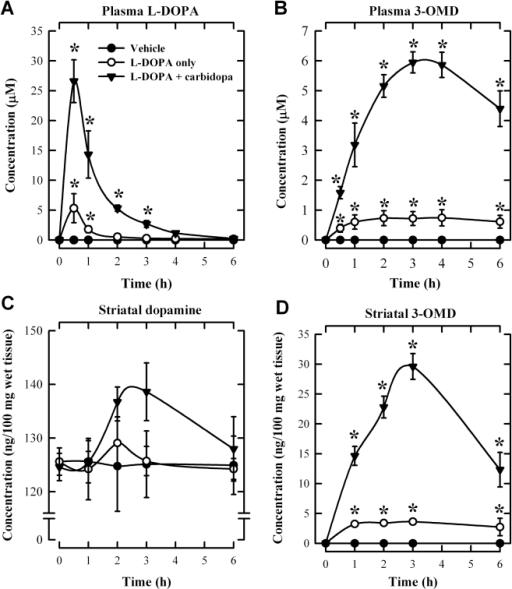 L-Dopa is one of the unique components in Clen X that raises dopamine levels and helps prevent any nasty crash after you take it. So often people sensitive to stimulants avoid fat burners and high energy pre workouts for fear of “crashing” a few hours after taking the supplement. Well, NTel Pharma has you covered with their Crash Prevention Matrix — a compilation of B Vitamins, Vitamin C, and L-Dopa to help offset any potential crashes which may happen to some individuals taking higher doses of stimulants. Some of the most popular pre workout supplements (such as the C4 series) use L-Dopa, and it works well with this regard. Yet many other companies don’t seem to have caught on with that little trick! We’ll have to put it to the test! Overall, we’ve never seen a formula with both DMHA and a thyroid metabolite, and that’s not even mentioning the ephedra side of things. If you haven’t tried T2, get ready for what could be some serious appetite suppression. That’s what we get from it, at least! Meanwhile, the crash prevention matrix is a great idea… and we would have approved of the majority of this formula even without it! “Clenadrol X Black has been a flagship product for us since we first launched it. In bringing it back, one of the major hurdles was having to exclude 1,3. I think we cleared this hurdle very easily with the incorporation of 2-Amino at 100mg per serving. The overall synergy of the complete formula is better than ever, hands down, and now comes with more servings for the same price. As a Dietary Supplement, Take 2 Capsules Once per Day. Begin by taking 1 Capsule with your first meal to assess tolerance. Experienced Users May consume a second serving after 5 Hours. Takeaway: Unique blend hits all angles! NTel Pharma isn’t messing around when it comes to developing max potency energy boosting products. Make sure you sign up for our NTel Pharma Alerts – Lots more coming from them! We got a great dose of caffeine. We got advanced stims in DMHA. 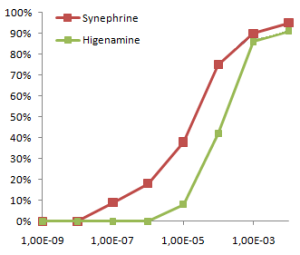 We have classic fat burning stims in synephrine and hordenine. We have thyroid action. And we even have ephedra and green tea, with crash protection to boot! Well-played, NTel!! 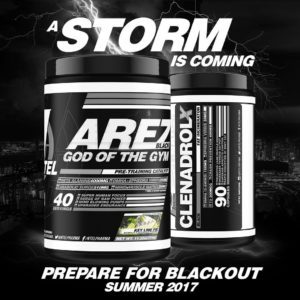 As we saw with AREZ and here with Clen X, these are intended for the experienced supplement user who likes a strong kick to their supplements and is ready to get going during the day. No Comments | Posted in New Products, Supplement News | Tagged 2-Amino-6-Methylheptane, 2-Aminoisoheptane, Alpha-Glycerylphosphorylcholine, Alpha-GPC, Caffeine, Diiodo L-Thyronine, DMHA, Ephedra, Fat Burners, Green Tea, Hordenine, L-Dopa, NTel Pharma, Poly-Thyronine, Synephrine, Thermogenic, Thyroid Supplements, Thyronine, Weight Loss.